Wondering which restaurant you should go to? The Mexican app Yumbling, which just went out of private beta this week, can offer you recommendations directly on your phone. But how exactly does it work? Yumbling is an app that provides entertainment recommendations to its users in Mexico, from restaurants to movies and shows. 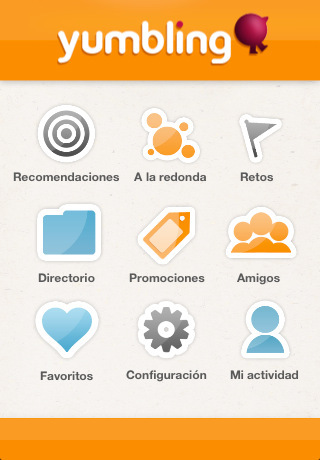 These recommendations are personalized, based on the user’s location (à la Foursquare) but also on their preferences. For example, its suggestions go as far as taking into account food pricing and movies’ genres. So how does Yumbling know whether you prefer fancy food and action movies? According to its founder and CEO Ricardo Suarez, it mostly learns it over time as you use the app – which could be a challenge for Yumbling if users can’t immediately see its potential. On the other hand, being asked tons of questions when signing up would also be a huge turn-off. The app is already available for iOS as well as most Blackberry and Nokia phones. An Android app will be released soon. Feature phones “are on the roadmap too”, tells Ricardo Suarez, which could be important for Yumbling to gain critical mass in a country where smartphones are still a minority. A limited version of the platform can also be accessed from the web, without the check-in features. One of Yumbling’s main challenges will be to compete with popular check-in apps such as Foursquare. Ricardo Suarez doesn’t deny Yumbling shares elements with these competitors (as it does with Yelp, which isn’t available in Mexico.) However, he insists Yumbling isn’t a clone of any of these services. It’s true that Yumbling differentiates itself on several levels, starting with its niche, which is entertainment. Even if it includes check-in, badges and the likes, it chose to focus more heavily on recommendation and social. What remains to be seen is how the social layer will work now that the service is public; its relevance will depend a lot on the traction Yumbling manage to gain. Cultural understanding could be Yumbling’s main asset; Ricardo points out that the app is “tropicalized”. To give an example, its check-in feature is actually a ‘check-out’ feature: dinners use it when leaving a place, rather than arriving. They can even delay notifications, and although the app is integrated with Twitter and Facebook, default settings aren’t usually set on “share”. These are small differences, but reflect Yumbling’s knowledge of its Mexican users’ privacy preferences, which are deeply tied to security concerns. At the moment, Yumbling only works fully in the metropolitan area of Mexico City, though the cultural part of the service (shows and events) is already available nationwide. 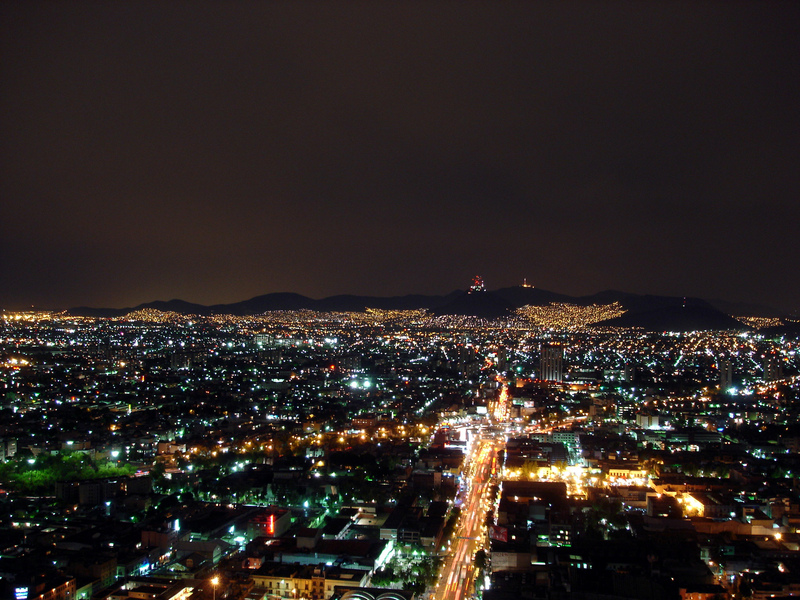 The startup’s team of five will now be working on adding restaurants’ and other local information to fully launch the service in Mexico’s other main cities. As for international expansion, Ricardo thinks Yumbling might first spread out towards the South (Central and South America) rather than to the US. This is quite surprising knowing the opportunity the US Hispanic market could represent, but the plans could obviously change – Yumbling will have to mature nationally before making any serious international plans. As for its business model, Yumbling plans to leverage its advanced users’ profiling to sell targeted advertising. Sponsored badges and challenges (a series of actions to complete to win a prize) will also be a complementary source of revenues. Yumbling already managed to convince investors of this model and raised seed capital from Mexican angels a few months ago. This is quite an achievement: the Mexican ecosystem is less developed and early investment in web-related ventures is still scarce, despite recent initiatives such as Wayra and Mexican.VC. This initial round should give Yumbling enough resources for its launch. Its success will now depend a lot on its capacity to acquire users. Would you use Yumbling? Let us know in the comments.